Earlier today rumors started circulating that Epic's massively popular battle royale game, Fortnite Battle Royale, was going to be announced for the Nintendo Switch. Possibly sometime at E3. What's more, the rumors suggested that there will be Nintendo exclusive content for the purported Switch version. The rumors came by way of the twitter account @LeakyPanda which offered the rumor with a grain of salt and to treat the news as gossip. However, the information detailed seemed specific enough that other sites soon began reporting on the rumors. Some of the details for this Switch Fortnite port suggested that both the PvP Battle Royale game and the PvE Save the World mode will be coming to the Switch; possibly as separate releases. The rumors also say that the Switch version will support cross-play, much like the mobile version of Fortnite Battle Royale. Lastly, that Nintendo exclusive content will be included in the Fortnite Switch port. The team at Epic working on Fortnite Battle Royale are famously nimble and push and develop content constantly. Fortnite Battle Royale itself was spun off from the original PvE Fortnite mode very quickly. So while there appear to be no plans for a Switch version at the moment, things can also change quickly. Fortnite Battle Royale on the Switch? Maybe not. On paper the rumors are obvious. Why not put one of the most popular games on the planet on one of the hottest video game consoles on the market? Also, part of Fortnite Battle Royale's immense popularity comes from the cosmetic skins Fortnite releases at a regular clip. Nintendo previously collaborated with studios like PlatinumGames to make Nintendo-themed costumes for characters like Bayonetta, hence the natural fit. The details in today's rumors are obvious to the point of believability which potentially explains why outlets are willing to report on the unsubstantiated rumors circulating today. 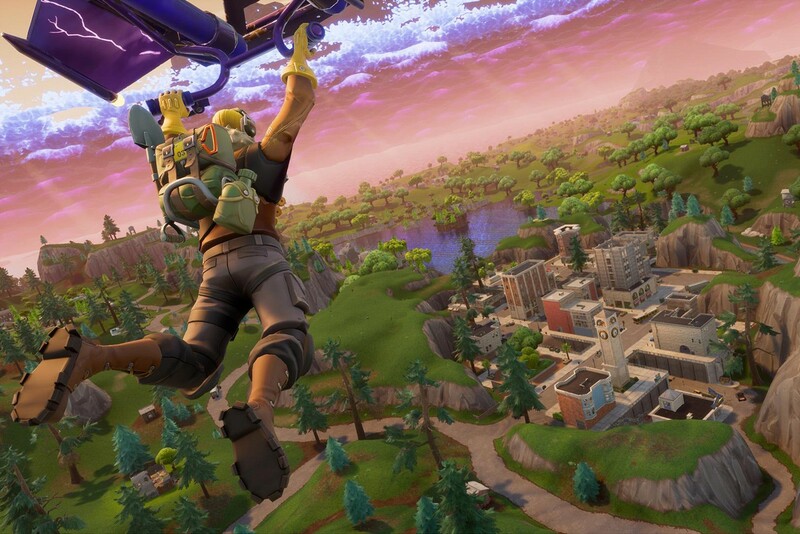 While it's not impossible for Fortnite Battle Royale to come to the Switch, at this time the rumors regarding an E3 reveal should be considered wishful thinking. We've reached out to Epic about this story along with the rumors and the company declined to comment. For more on Fortnite Battle Royale, you can check out our Fortnite Battle Royale guide which covers the latest challenges for Week 10. Epic is currently teasing Fortnite Battle Royale's season 4 with a mysterious comet that just keeps getting stranger and stranger. Tagged with Battle Royale,	Epic Games,	News,	Nintendo,	Nintendo Switch.